The world is on a relentless race for the adoption of the latest technology. The truth of the matter is that if Africa does not foster the right environment for its people and businesses to faster embrace the new technologies, it may find itself left far behind. And the technological chasm that needs to be bridged, will only increase over time. While Africa is still grappling and taking its time to resolve the many fundamental issues with its economic development, the world is moving at a faster and faster pace, especially with the digital economy. No longer about simple mechanisation and mass production, manufacturing is now much more advanced by being capital and skills intensive, rather than labour intensive. Industrialisation has barely taken root on the African continent and this nascent industry is already facing imminent threats from the robots. Industry 4.0 is about the next wave of industrialisation and advanced manufacturing that will encompass the latest cutting edge and disruptive technologies. Industry 4.0 is already starting in countries where there is a very strong manufacturing sector, like China, Germany, Japan, South Korea, United States and others. In the near future, the whole manufacturing sector will be completely disrupted and transformed. Manufacturing will no longer be about making products in bulk by a large pool of cheap labour. Manufacturing will be about the deployment of collaborative robots (cobots), that not only will be able to self-programme, but are also collaborating and interfacing easily with other cobots and human beings. Moreover, Industry 4.0 will be much more complex and will require the integration of traditional production together with the latest additive manufacturing technologies, as well as the use of disruptive technologies like virtual reality, internet of things, cloud computing, big data analytics with artificial intelligence, and others. All these technologies integrated together will be the backbone of the smart factories of the future. While traditional manufacturing is mainly related to the use and deployment of a large pool of cheap labour on the factory floor, the future smart factories will be mainly capital intensive and use cutting edge technology, requiring few but highly skilled workers to operate. This means that Africa should not expect that modern manufacturing will create a massive number of jobs. Instead, the future of manufacturing will not only be for those African countries with highly skilled labour, but will also require them to develop the necessary competencies among its labour force for it to take place. In the 1980s, China experimented with the setting up of the first four foreign trade-oriented special economic zones (SEZs) in Shantou, Shenzhen, Guangdong and Xiamen. This experiment proved to be so successful that China further opened its economy with the creation of another 14 SEZs. Eventually, China opened up more regions for development. With China’s large pool of cheap labour and the special treatment given to foreign investors in these SEZs, manufacturing developed and blossomed rapidly. As labour costs rose in the developed economies, more and more international companies invested in China and delocalised their operations to these SEZs. China has also evolved over time and its leaders have constantly adapted their economic policies to the changing economic environment, so as to constantly attract more foreign investments and technical know-how in the manufacturing sector. This eventually led China to become the world’s current manufacturing powerhouse. However, as the labour costs in China started to rise, the manufacturing companies started to delocalise to southeast Asian countries, like Vietnam, and other Asian countries, like Bangladesh. Eventually, Africa has also become the destination for some of these delocalising Chinese companies. For instance, white goods manufacturers Haier and Hisense are manufacturing their electronic consumer goods in South Africa, while apparel and footwear manufacturer Huajian is investing heavily in Ethiopia. However, the latest Industry 4.0 trends of automating and robotising the factory floor in China may eventually drastically impede this manufacturing delocalisation towards Asian and African countries in the near future. According to the International Federation of Robotics, by 2019 more than a million industrial robots will be installed worldwide and by then, there will be around 2.6 million robots in operation. In terms of robot density per 10,000 workers, South Korea is the world leader with 531 robots, while in Europe, Germany leads with 301 robots. While there are more European countries in the automation and robotics race, Asian countries, like China, will be the biggest market for industrial robots. Currently, China has about 49 robots per 10,000 workers, but its aim to reach a robot density of 150 by 2020 will require more than 600,000 robots to be installed. Hence, Africa cannot afford to ignore these trends, since they will have a great impact in terms of job creation within the continent in the future. Moreover, unlike in the past where industrial robots were mainly meant for repetitive tasks, the new generations of industrial cobots will work seamlessly with humans. Furthermore, these cobots will be integrated with a whole range of disruptive digital innovations that will make the whole factory smarter. With all these innovations, the productivity of workers will be greatly improved, but overall, the factory will require much less people to operate. As a result, manufacturing will no longer be about massive job creation for unskilled workers. Consequently, for the large pool of unskilled workers in Africa, this will be detrimental to their future job prospects. Besides, these trends will affect the overall economic potential of the emerging African countries. China is embarking and rapidly adopting the Industry 4.0 trends. It has been building capabilities by acquiring robotics and automation companies worldwide. In 2016, some of its biggest acquisitions were Kuka, Dematic, KrausMaffei, Paslin and Gimatic. The Chinese government is advocating the use of new technologies to mitigate the rising labour costs, as well as stem the flow of delocalisation of its manufacturing companies. As a result, many of its manufacturing companies are installing more and more robots on the factory floor to boost productivity and manage operational costs. Therefore, the need to delocalise to cheaper pools of workers in Asia and Africa will no longer be needed. For Africa, all these trends are a major threat to its industrialisation. Being the most industrialised country, South Africa has the most industrial robots, particularly in its automotive sector. However, Africa still remains at the lowest level of the manufacturing value chain. The imminent threat is that the competitive advantages of Africa with its large and labour force will be eroded and eventually vanish, as other countries with a strong manufacturing base retool their factories with the latest technologies. There are always possibilities for African countries to leapfrog technology and embrace the trends of Industry 4.0. However, the major impediments will be about the need for African governments to invest massively in the education of its young population and equip their labour force with the necessary digital competencies. Moreover, they need to implement policies that will provide the right impetus for their companies to adopt new technologies, so that they have a better chance to compete in the digital economy. 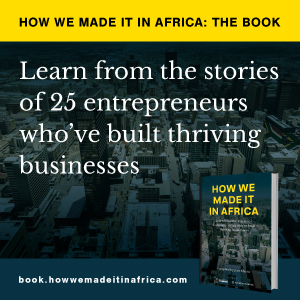 The 1.2 billion people in Africa represent a large potential market for any global company. African countries can therefore leverage their large domestic and regional markets to attract manufacturing companies. The automotive industry will be at the forefront of technologies, brought about by Industry 4.0 and the large African markets will incentivise the automotive companies to do some manufacturing locally. With the rising middle class, other sectors like the electronic consumer goods sector can be attractive for local manufacturing. By shrewdly using its large domestic markets as a competitive advantage, African countries can potentially encourage advanced manufacturing to take place in any sector, like apparel and textile manufacturing, food production and many others. However, unlike traditional manufacturing, there will not be massive job creation in the future manufacturing factories. The future of manufacturing will no longer be about massive job creation. Therefore, with a young population and relatively high unemployment in Africa, manufacturing will not be the main solution to create a large number of jobs. With its growing population, African countries will have to develop other industries to deploy their large labour pool and create other solutions to provide a means of living for its people. Moreover, higher value-added manufacturing will mainly require highly skilled workers. Hence, only those who are educated and highly trained will be part of the future workforce needed in smart factories. Not only will they have better opportunities, but they will also enjoy higher income. As a result, this will create a wider social inequality between the skilled and unskilled workers. There will be a great need to train and upskill workers so that they have better opportunities. If African countries remain stagnant in the global and relentless pursuit of the newest technology, Africa may completely miss the technological train. This may potentially leave Africa at the lowest rung of the value-chain ladder. Therefore, African countries need to focus on the education of their young population and the training and development of their overall workforce. Doing so will be the main key to unlock the potential opportunities of Industry 4.0.